Realistically though, it’s the 29 seconds gap back to Uran that poses the biggest threat, as Bardet is not known for his time trialling. The Columbian looks to be back at his pre-2015 best. During the 2014 season, he won a 41.9km TT at the Giro and beat Froome by 77 seconds over a 36.7km TT at the Vuelta. If he can deliver that same form then he’ll ride into yellow. The route in Marseille is mostly flat except for the short punchy climb at the 15km point which will disrupt the pace and rhythm of the TT specialists. It’s not long enough to warrant bike changes, but you never know what some riders will prefer. The profile doesn’t tell the full story of the stage, as a look at the map shows that it’s a very technical course, most notably the sections before and after the Norte-Dame De La Garde climb. But these are counterbalanced by long straight sections, so the power houses will be able to clock up some speed. The other main factor to take into account for this TT is the three weeks of riding that have gone before it. The fatigue will play a big factor and it will be interesting to see if any of the pre-stage favourites are affected. The main focus will be towards the end of the stage when Uran, Bardet & Froome head down the start ramp. The variants in the course and the 20 days of racing that proceeds it means its hard to read much into past TT form. 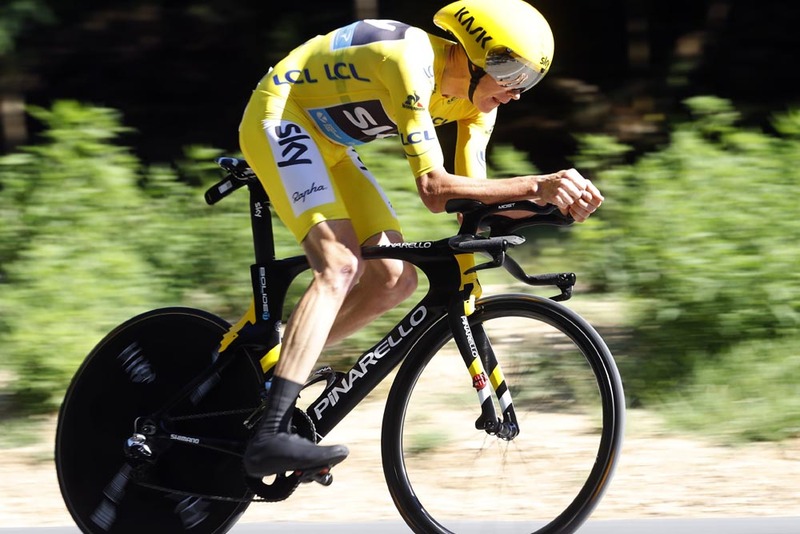 Its a 50/50 call in our heads as to whether it will be Froome or Uran wearing yellow in Paris. What is surer, in our opinion, is that neither will win the stage. Primoz Roglic has recovered brilliantly after crashing in the opening TT, by taking a stage win on stage 17. He might’ve preferred a longer course, but he has the engine and skills to negotiate it in a fast time. Johnathon Castroviejo is the current Spanish TT champion and a regular in the Top 5 of any time trial. He’s been quiet, perhaps with an eye on this and he’ll be up there in the Top 5 yet again. Tony Martin needs no introduction. He’ll have been bitterly disappointed not to have taken the opening TT and yellow jersey in his home country. He’s been active in the breaks, but fatigue isn’t something you associate with him. A podium at least for the Panzerwagen. Stefan Kung has been invisible since his second place in the opening TT, another rider saving himself for today on a similar course to the tt in this years Tour de Suisse, where he also finished second. Outsiders would be Taylor Phinney who looks to be getting back to his pre accident form, Michal Kwiatkowski, if he has any power left after all that pulling on the front, and Sylvain Chavanel who has been a regular feature in breakaways and has shown that there’s life in the old dog yet!